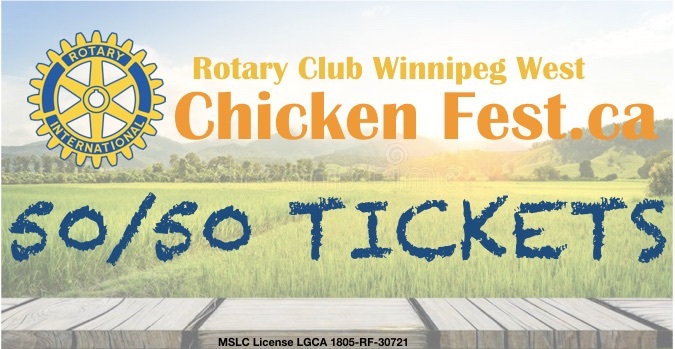 Buy Chicken Fest 50/50 ! Thinking about becoming a member in our Club? The Rotary Club of Winnipeg West rekindles international exchange student program to city! We continue to honour the memory of Rotarian Clint Fogg. Akosua Bonsu is Making a Difference. The Rotary Club of Winnipeg West has been funding the Children's Rehabilitation camp since 2010. 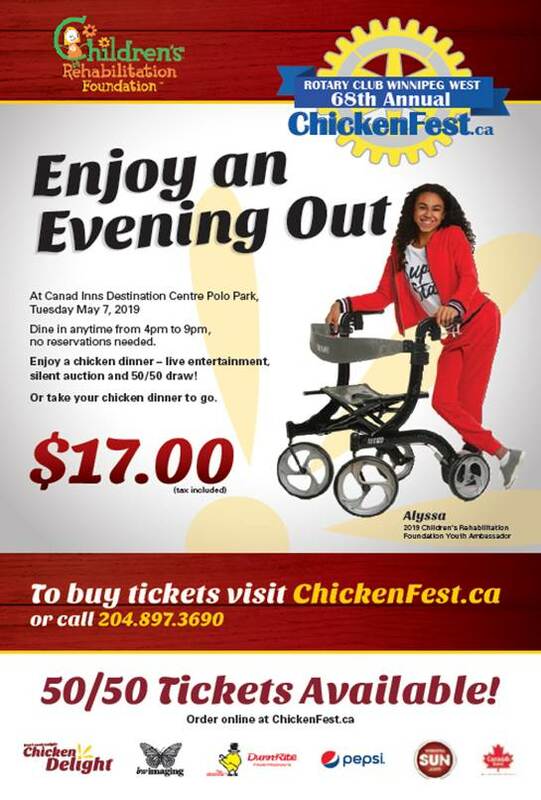 Chicken Fest raised $30,000.00 to fund local kids causes! Read about the wind-up, and our two important signature projects that both benefit children in our community.